Discussion in 'CRD' started by Shinobi, Dec 15, 2009. Beijing Digital Entertainment Development Co., Ltd.
Beijing Digital Entertainment Industry Demonstration Base and the National Animation Industry Base, the exclusive online game operating companies. Its predecessor was well-known Internet companies Dotman, base is the base of the leadership team to an open tender bid for more than 60 companies from the layers of screening, strict examination ultimately selected, it was formally established, beginning a new base a prelude to the development process. Of "government guidance, enterprise approach" to operate state-level industrial demonstration bases, is the Shijingshan District grasp of today's cultural and creative industry development environment and broad trends, refer to the foreign cultural and creative industries to develop advanced experiences in Shijingshan District, the situation, made by bold and innovative and useful attempt. Time has proved that this innovation and try to obtain a great success, Shijingshan District, explored the development of cultural and creative industries is a good development model. Base company by a group of digital entertainment from around the world composed of elite professionals, who understand technology, good management and use its influence in the industry and appeal, making digital entertainment-based Investment has made tremendous progress. As a base for the building of a member of the Leading Group, the base's shoulders base planning, construction, investment, operation and management functions, through the establishment of sound corporate governance structure, effective management system and mechanism, has overall responsibility for base planning, construction, the operation, management and services. In the base of a building based on the base of the company with the actual situation of regional economic development, drawing on experience in the development of industrial base at home and abroad, according to digital entertainment industry structure model, put forward the development of industry chain of creative production, industrial operations and consumer experience of three Great links, the formation of brand and industry cluster effect of the general idea. Base of the company's core brand Dotman supporting platform for digital entertainment industry is generated based on this idea. Dotman Industrial Platform is a web-based digital entertainment bases, from Dotgame (Amoy Tour Network), Dotlife, Dotmall, Dotmedia, Dotbank, Dotbase six modules. Dotgame (Amoy Tour Network) is a six module core components of development time, the earliest features of the most perfect and develop the most mature, which combines intelligent search, payment settlement, game operations, game merchandise trade, the virtual experience of other functions in one It is future-oriented personal digital entertainment experience, convergence of platforms and gaming products promotional platform. Base of the company's innovative approach to the development of China's digital entertainment industry has injected new vitality, has also been a high degree of central government and Beijing leadership attention and support. The CPC Central Committee Political Bureau Standing Committee member Li Changchun, Vice Premier when he was mayor of Beijing Wang Qishan, Beijing Party Secretary Liu Qi, Ji Bingxuan, vice minister of the Ministry of Culture, Minister of Culture and other leaders went to a base to conduct inspections, on the base of the company's development model and philosophy of giving highly appreciated. With China Putian, IBM, China Mobile, China Everbright Bank and other digital entertainment industry chain of heavyweight companies, as well as joining Dotman settled in the Shijingshan industrial platform, the base's Dotman Platform has begun to take shape. In order to converge as quickly as possible and the world, and in order to Dotman platform to the world, based company has taken some measures a platform for the global industry marketing activities, traveling throughout the United States, Sweden, United Kingdom, Australia, South Korea, Japan and China's Taiwan Province, Hong Kong SAR more than 10 countries and regions, reached a package of important cooperative intentions in the world, caused a huge reaction. 2009 base company leaders at all levels, great care and support, at the base under the leadership of the Leading Group is fully integrated telecom operators, banks, digital content developers, digital content, operators, technology and equipment providers and other related resources, continue to be a unique competitive Dotman industry supporting platform to the world, to speed up digital entertainment industry gathering, attracting a large number of consumers to experience the crowd and build a complete digital entertainment industry value chain, and guide resources to digital entertainment, cultural and creative industries flows, the rapid formation of industrial aggregation effect of the cultural and creative industries in Beijing, China to push the development of a new stage. Only info I could find and it was translated from a chinese website. Very formal and Governmental like, very controled and sencored. The link is here. What can I say? its "BASE"! China's virtual plans are out of this world. A virtual world to be set up in China could provide for as many as 10,000 jobs, its backers have predicted. Sweden-based Entropia Universe has been chosen to create a cash-based virtual economy for China in collaboration with Chinese online entertainment company Cyber Recreation Development (CRD). CRD is supported by the Beijing Municipal People's Government, and Entropia Universe--managed by Swedish company Mindark--predicts it will generate more than US$1 billion annually from the partnership with CRD. 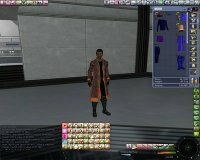 An estimated 10,000 jobs will be created in China on the back of this deal, with staff working from home inside the Entropia Universe. Aside from creating jobs, David Liu, CEO of CRD, said environmental benefits were an important consideration for the project--the more people working from home inside Entropia Universe the less pollution is generated by people commuting to work. The collaboration will allow the Entropia Universe to support up to seven million concurrent users, with an overall aim of attracting roughly 150 million users from all over the world. The Entropia Universe features a traditional 3D virtual-world environment but has more of a gaming-feel than virtual worlds such as Second Life, as it is set in a "distant sci-fi future". Ri Pierce-Grove, analyst at Datamonitor, told ZDNet Asia's sister site Silicon.com: "Entropia's initial impression is of an interesting hybrid, with gaming elements integrated more strongly into its social experience." Pierce-Grove added: "Although Second Life loomed larger in the popular imagination, the deal with China is already catapulting Entropia into higher media prominence. The ability to grow under the protective umbrella of Beijing will give Entropia a strong advantage in the Chinese market." Project Entropia Dollars (PED)--can be changed back into real funds at a fixed exchange rate of 10 PED to US$1. Sandy Shen, a Gartner analyst based in Shanghai, said: "From the business perspective, Entropia will face challenges because the content is very foreign. I think that's where CRD could add value since it is already signing up with brand companies in China so it could localize the content." Shen added: "This agreement actually allows interconnection between the two platforms: Entropia Universe entering China using Dotman's platform, and Dotman entering Europe using Mindark's platform. I think this is a key motivation for the partnership." At the moment, the Entropia Universe lies on one planet called Calypso--which encompasses two continents with large expanding cities that offer a variety of entertainment and social interaction for citizens. Entropia Universe hopes this agreement with China will generate hundreds of new planets and open up space for travel between them. its all old news I'm afraid. We havent heard a thing about CRD since the head of the project died and we also no longer have the CRD building in New Oxford anymore. Dont expect anything to develop from that any time soon. ye so true jod. Many think this CRD thing is a dud. has "news" of 2013...about a test-phase...but google translation is more or less...a riddle here and there. For example still enlisting the MA logo. Maybe someone else can translate the site...or tell me its dead anyway ?